Cockpit is a four (mono or stereo) channel mixer with a stereo output that can be modular or line level. These four channels have enough gain to be used with line level instruments like drum machines, and the final two channels can be configured for use with TRRS cables and be used as FX sends - even to something like an iPad - and their stereo returns. 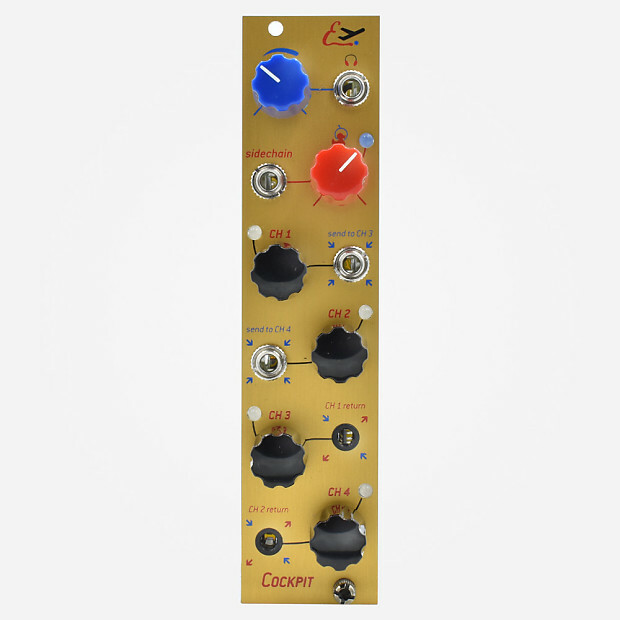 Cockpit also features a stereo output that can output line or modular level, and a Sidechain duck feature that responds well to envelopes or audio! Based on purchase price of $259 at 10% APR for 12 months. Excludes tax and shipping fees, to be calculated at checkout. Rates range from 10-30% APR. Choose from 3, 6, or 12 monthly payments.